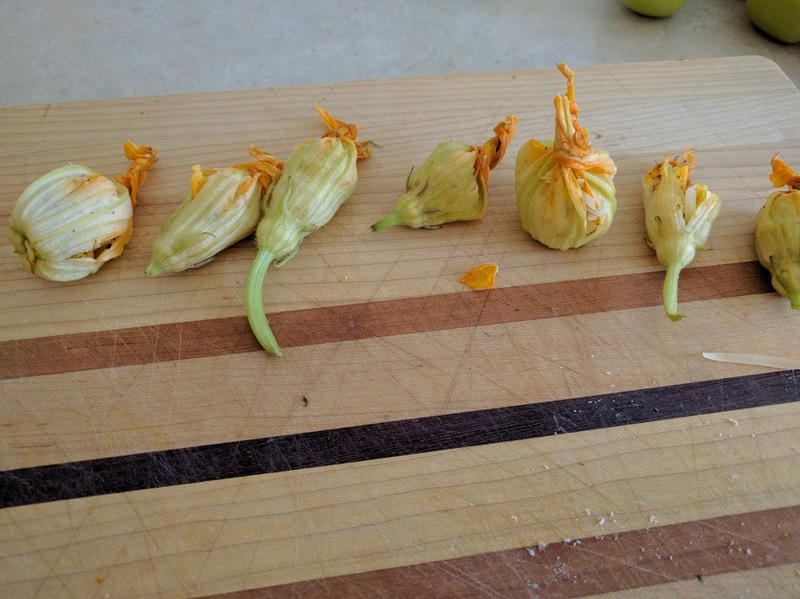 My first introduction to edible flowers came when I was working at a local green house one summer when I was in college. We sold nasturtiums and I was shocked when some one told me that a lot of people bought them because the you could eat the flowers. I just shook my head and never tried it myself (It just sounded weird to me!). 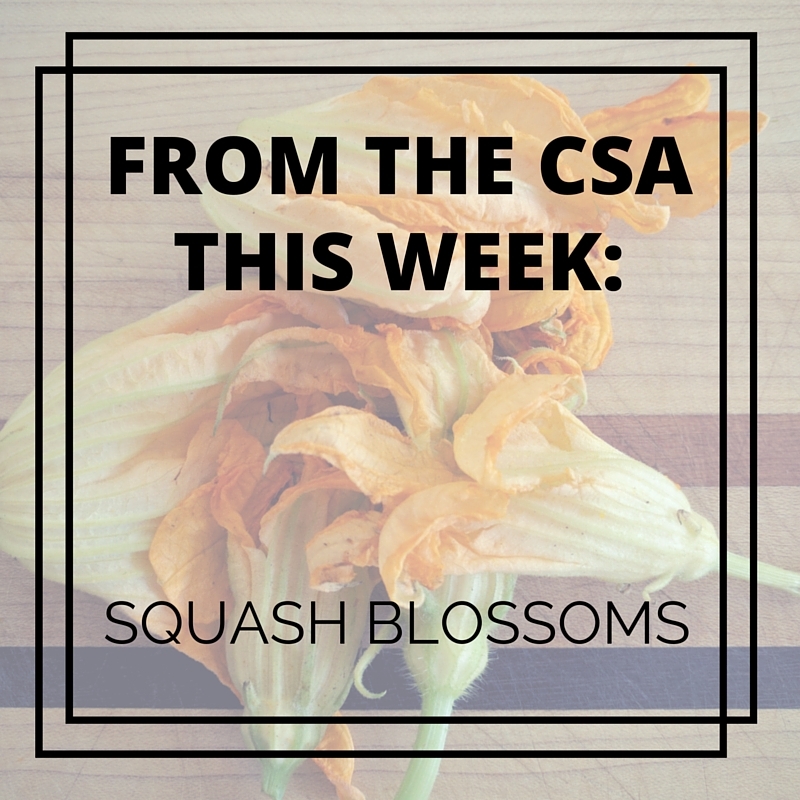 Happily, my pallet has expanded since my college days and when D brought home squash blossoms from the CSA pick up, I was game to try them. My favorite cook book in the whole world, The Joy of Cooking (1997 edition) had a very simple and straight-forward recipe for preparing them and they turned out delicious! In fact, we gobbled them up so fast, I wasn't able to get a picture of them after they were cooked. We would definitely make these again- they would be a really fun and surprising summer party appetizer. Don't wash blossoms unless obviously dirty. Cut out the pistil and stamen (parts inside the flower) but leave the stems attached. 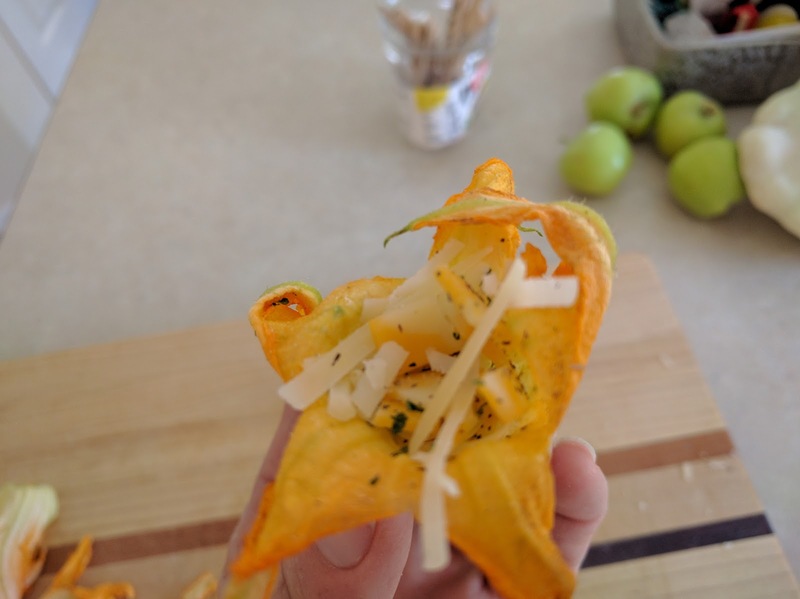 Mix garlic, cheeses, and herbs together and gently stuff cheese mixture into blossoms. I filled mind to just where the leaves began to separate from the bulb of the flower. Dip the flowers one at a time into the egg, letting the excess drip off before dredging through the flower. Fry them 3-4 at a time in hot oil, turning until golden brown on all sides. Drain on paper towels before serving. 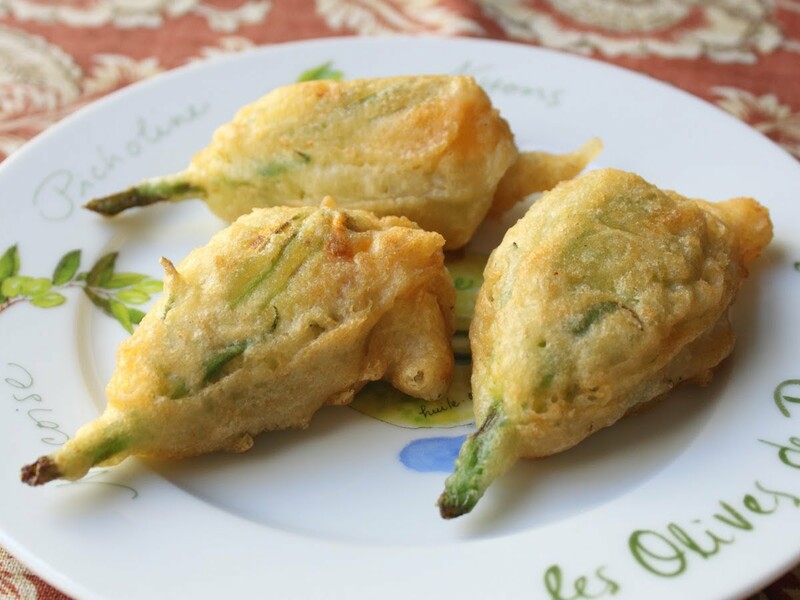 We ate them plain- the light "green" flavor of the flowers was the perfect offset for the herb-and-cheese mixture but you can also serve these with marinara sauce for dipping.